As a child, Altoona [Pennsylvania] native and New York City Ballet principal dancer Jared Angle, 32, saw the Allegheny Ballet Company perform “The Nutcracker” at The Mishler Theatre. About a month later, the boy who would go on to reach the highest-rank of professional dance at one of the most well-known companies in the world started lessons at the local company’s school. Angle attended two summer sessions at the School of American Ballet in New York before moving to the city at age 16, he said. With the city summer school under his belt, moving to New York as a teenager was not particularly intimidating, he said. “But it was also just a necessity like it was time to take my training to the next level so it was necessary to go so I was ready,” he said. Angle said Allegheny Ballet was a foundation for where he ended up. 1986: Began his dance training at age 6 at the Allegheny Ballet Academy.Fall 1996: Entered the School of American Ballet, the official school of New York City Ballet. 1997: Received the Rudolf Nureyev Scholarship to continue his training at the School of American Ballet for the 1997-1998 school year. July 1998: Joined the Company as a member of the corps de ballet. February 2001: Promoted to the rank of soloist with the New York City Ballet. 2001-2002: Received the Princess Grace Dance Fellowship. November 2005: Promoted to principal dancer following a performance during a company visit for the reopening of the Tivoli Concert Hall. Angle said he and others were fortunate to have Deborah Anthony, founding director, to guide them. He said she is “a wonderful teacher,” especially for the younger students. As students progressed, Anthony brought in teachers, who were former professionals or taught elsewhere, to supplement their learning, he said. The training was “really well rounded” and contained performance experience, he said. Angle has since experienced major milestones as a male dancer, but said he never went into his career thinking he would become a star. He “liked the work” and “loved dancing,” he said. He recalled landing his first principal part when he was about 18 years old after someone got injured. Angle performed a pas de deux with one of the major ballerinas of the company, Dorothy Kissler, who also just happened to be the wife of Angle’s boss. “It was scary but exciting and it went well. That was the first milestone and then getting promoted to soloist was again surprising and totally thrilling,” he said. Angle’s aunt, Jean Geist of Altoona, said her nephew has worked hard for his achievements. “I’m just ultimately very proud of how humble he has been in his success and how amazingly successful he has become,” she said. He isn’t the only son to have reached such success either. His brother, Tyler, 27, is also a principal dancer with the New York company. 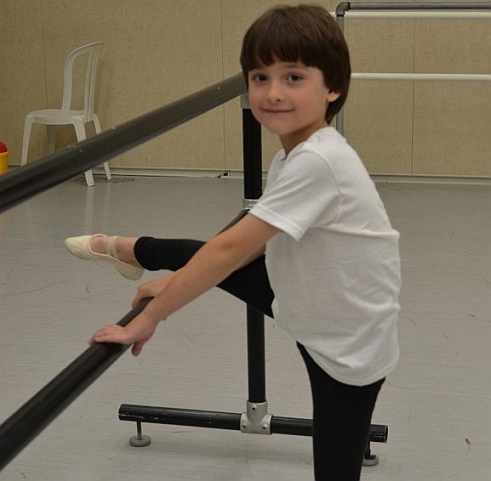 Six-year-old John Zorbas of Colonie can’t wait until he’s big and strong enough to lift ballerinas high into the air – and he’s well on his way. Zorbas will be dancing with the New York City Ballet in their production of “Firebird” at the Saratoga Performing Arts Center through a program that has been in place since 1968 that allows young local dancers to take the stage with the renowned ballet company. “I’m so excited to be dancing in the ballet,” said Zorbas, who has been dancing for a year now. His mom, Colleen Zorbas, said she first started seeing hints of interest in ballet from her son when he was 3 years old. “He’d watch his sisters dance … I always knew he had something just in him and he knows he’s doing a good job,” she said. John’s sisters, Calista, 12, and Eemetra, 9, have been dancing for several years. Colleen Zorbas added that at first John didn’t see any other boys but he doesn’t let that worry him. She’s also seen a lot of other benefits for her son. “His balance is great … he also really appreciates the arts and notices things when he watches ballets,” she said. Every year, over 200 local dancers audition to take the stage with the ballet company. Zorbas is one of 19 dancers who made the cut for this year’s ballet season at SPAC, which will be in residency until July 21. SPAC’s Director of Arts Education Siobhan Dunham said this partnership dates back to at least 1968, two years after SPAC opened. Dunham said. Performing with the ballet can be a priceless experience for any dancer, though.“It’s not just about the fun of it and being on stage. It’s about seeing the company and how it works,” she said. She added the dancers make not only their friends and families proud, but the whole community, and that opportunity is a “great confidence builder” for the children. She noted the young local dancers who audition tend to be good students. “I think it’s the discipline that comes hand-in-hand with it. … You can’t be a dancer at the level that you’re selected by the New York City Ballet unless you have that,” she said. Leslie Kettlewell has been Zorbas’ dance instructor for the past year at the National Museum of Dance’s School of The Arts. She said her student is exuberant about life and brings little surprises to class every week. “He once brought in a stuffed animal that he really liked and propped it up for the whole class. … He has the ability to watch when something is demonstrated and emulate it. He really focuses,” said Kettlewell. Zorbas is looking forward to his time on the big stage, where he’ll be a cape bearer. “I get to hold a cape and put it down and go across the stage. I’ll have a black cape,” he said. © Copyright 2012 Community Media Group, LLC. A new generation of men reigns at New York City Ballet. All five men featured here came through the ranks of the School of American Ballet. In a company built for choreography, they offer vivid individuality while serving the bigger picture. They possess complementary skills, artistry, and temperaments. 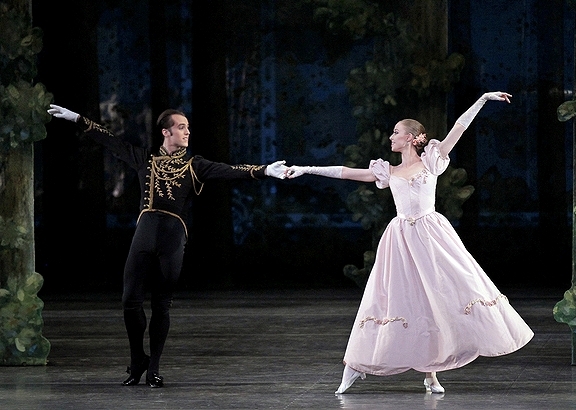 Too young to have worked with Balanchine or Robbins, they are still instrumental in defining the new NYCB. Nearly all mentioned Peter Boal, Nikolaj Hübbe, and Jock Soto as role models or mentors. Three have siblings who dance professionally. And each one has a story. © 2011 Macfadden Performing Arts Media LLC. New York City Ballet’s annual staging of Balanchine’s The Nutcracker boasts a multitude of unforgettable moments. Dancers from the company share some of their personal favorites. 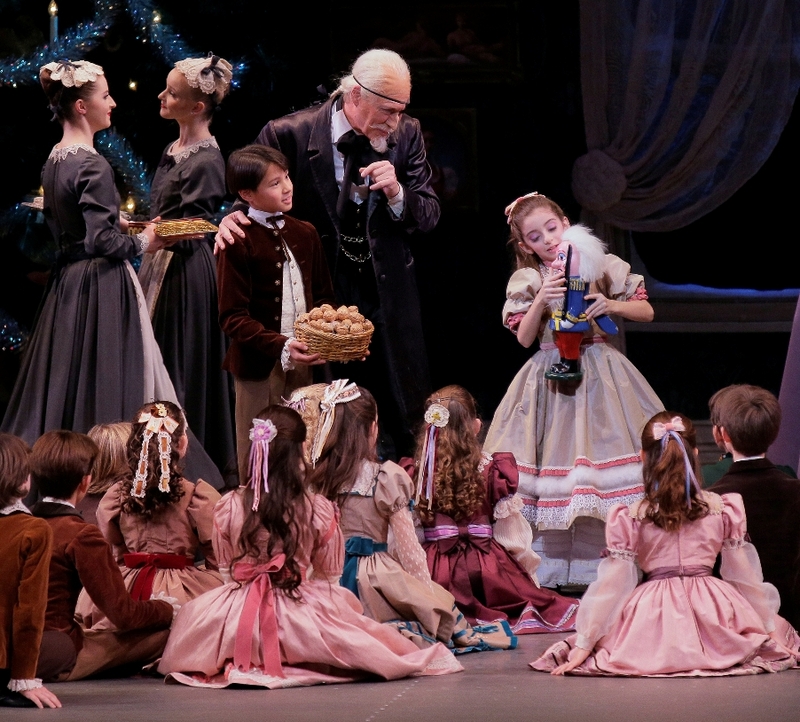 As seasoned ballet-goers know¡ªand newcomers quickly learn¡ªGeorge Balanchine’s The Nutcracker boasts more than its share of exceptional sequences, as spectacular as the Christmas tree that rises to the rafters, as tender as the instant Marie’s mother removes her shawl to cover her sleeping daughter. Given The Nutcracker’s fanciful plot, it’s no surprise the ballet is bursting with moments to savor. In a nutshell: a little girl receives a toy Nutcracker from her godfather at a Christmas Eve party, falls asleep cradling her new toy and dreams of dancing snowflakes, dastardly mice, true-blue toy soldiers, cavorting candies, frolicking flowers, a Sugarplum Fairy, and a life-size Nutcracker who turns into a prince. What makes this truly memorable, however, is the pitchperfect confluence of Balanchine’s inspired choreography and Tschaikovsky’s lilting score. New York City Ballet’s dancers have their favorite moments, too. We recently asked several veteran Nutcracker performers to tell us about one such moment in the variations they perform during the second act, and why that moment is special. Being short is no handicap for male dancers whose low centers of gravity can be a springboard to airborne virtuosity. Those possessing the artistry and technique to compensate for their stature include Vaslav Nijinsky, Edward Villella, Mikhail Baryshnikov, and Herman Cornejo. 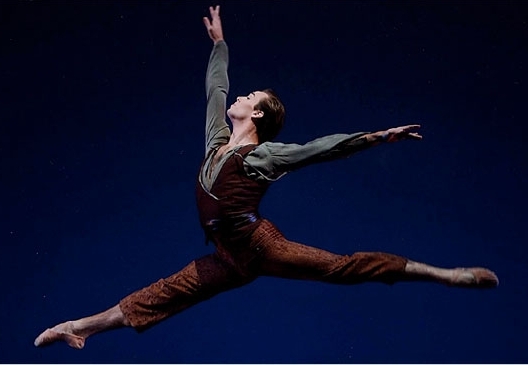 Whether Daniel Ulbricht can join this distinguished honor roll remains to be seen, but New York City Ballet’s ballet master in chief Peter Martins has such faith in the dancer’s star power that he has created high-flying, technically demanding solos for him in his last three ballets. The decibel count during curtain calls always spikes when Ulbricht takes a solo bow. Otherwise Ulbricht has failed to follow the usual ballet traditions. Yes, he did join his sister, Heidi, in ballet class when he was 11 years old, but before succumbing to that cliché, he had devoted five years to karate. “The Karate Kid and Teenage Mutant Ninja Turtles made a big impression on me,” he recalls. “I begged my folks to sign me up. Because my teacher, Kathy Marlor, always stressed self-respect and discipline, I carried her lessons over into ballet.” Before he decided to concentrate on dance at age 13, he had earned a second-degree black belt, won two Florida championships in kata—variations on established forms—and found time for gymnastics. It took a knee injury to slow him down—for a while. Four years of summer study on scholarship at Chautauqua Summer Dance Program in upstate New York led to further Balanchine training under Patricia McBride, Jean-Pierre Bonnefoux, and Violette Verdy (her likening a plié to melting ice cream remains with him to this day). “Soon teachers who were visiting Chautauqua were offering me gigs,” he says. His freelance career began at age 14 with four Nutcrackers: Miami, St. Petersburg, Buffalo, and Pittsburgh. Everyone was suggesting he study at SAB, so in the spring of 1998, he flew to New York with his father for three days. Not everyone appreciates the veneer of sunny showmanship in his performances. One reviewer said he looked like he was “auditioning for a Three Stooges routine” as the First Sailor in Robbins’ Fancy Free. “I know I enter the bar walking like Popeye,” Ulbricht says, “but that’s what Robbins wanted.” More newsworthy was his performance of the sailor’s solo with its sensational split landing after a double tour. No one else at NYCB or American Ballet Theatre really goes for it like Ulbricht. Most guys land on their heels, then slide to the floor, but he performs both actions so quickly he seems to have crash-landed on his crotch. “You have to do everything in a split second,” he says. And his burgeoning side career as a teacher will furnish it. He was invited to conduct his first class three years ago at the New York State Summer School for the Arts in Saratoga, and became so involved he lost his voice. Now that Damian Woetzel has stepped down as head of NYSSSA, Ulbricht and City Ballet principal Jenifer Ringer will share its direction. Ever adept at networking, he has since taught at—and always been asked back by—Central Pennsylvania Youth Ballet, The Rock School, School of Ballet Chicago, and Indiana University. He tells students that thorough preparation conquers fear, and that the barre should be treated as a performance. Yet he can’t remain solemn for long. Then the posture straightens, the shoulders subside, the neck elegantly lengthens, and all caricature vanishes. In his normal light baritone, Ulbricht says, “Hello, I’m Daniel.” And now everyone grins. Now he does. Mr. Angle, 22, began his own apprenticeship in 2003, after studying at the School of American Ballet, just like his brother, who is five years his senior and now a principal. 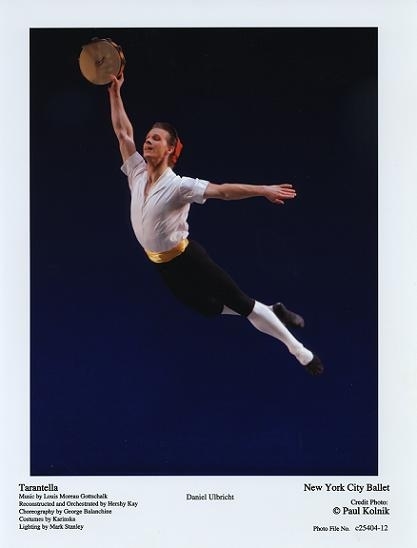 Tyler Angle joined the company in 2004 and was promoted to soloist in December 2007. This season he is appearing in a range of works (including a new ballet by his former colleague Melissa Barak) and seems poised to secure his prominence as one of the company’s leading younger dancers. An elegant performer and an assured partner, he belongs to a rising generation of dancers at City Ballet who know Balanchine only through his ballets. “If a dancer was touched by Balanchine they were obviously incredibly lucky, but there was also this adulation that went along with it,” said Christopher Wheeldon, the former City Ballet resident choreographer who created a featured role for Mr. Angle in “The Nightingale and the Rose,” alongside Ms. Whelan, and has continued to work with Mr. Angle through his own company, Morphoses. Mr. Angle is cavalier regarding the slings and arrows that inevitably come when one dances in such a high-profile troupe and is constantly measured by longtime observers against earlier performers — and often found wanting. When Mr. Angle was 9, his father surprised him with his first ballet class — after Tyler announced that he had nothing to do — by driving him to what turned out to be the local studio where Jared trained. He became interested only after he found that he was no good at this form, which seemed so effortless to his classmates. This confidence served him well as a developing dancer. Brocade or no, Mr. Angle is unburdened by the legacy of Balanchine. He has a wide range of interests, and mentioned Pina Bausch and William Forsythe as the choreographers with whom he would most like to work. Between City Ballet, where he works with a range of choreographers, and stints at Morphoses, he has avoided being typecast. Mr. Wheeldon said that should Morphoses ever become a full-time company, Mr. Angle is at the top of the list of dancers he would invite to join. Mr. Angle said he has no plans to go anywhere for now, and was rather definitive given his age: He isn’t interested in running a company (“I don’t think I have any of the right qualities”) or choreographing, and he said he would like to retire with City Ballet. When asked what Balanchine would have thought of him, a question that some of those first-generation dancers have acknowledged pondering, Mr. Angle, despite his enduring love for the man’s choreography, didn’t miss a beat.